Action for Southern Africa Waltham Forest (ACTSWF) is a branch of ACTSA, the sucessor of the Anti-Apartheid Movement. In 1994 after the struggle to end apartheid in South Africa was over, ACTSA Waltham Forest (ACTSAWF) started to support initiatives that sought to redress the inequalities created by the apartheid system. In addition to working on issues led by national ACTSA, the local branch developed partnerships with a community in Vosloorus, Gauteng, South Africa. Thsi was a historically deprived Black township. From 1995 to 1999 ACTSAWF contributed to the funding of community projects providing adult literacy classes and training in basic computing. 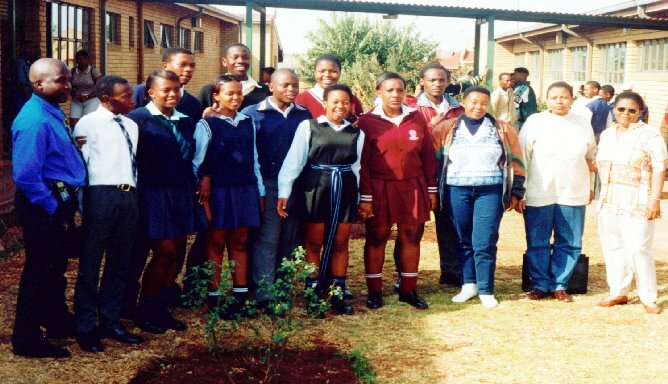 In 1996 ACTSAWF started sending books to help schools in Vosloorus develop libraries. Historically “Black Only” schools had no books. Since 1997 the organisation sends books through the “Book and 10 pence” project run by the Community H.E.A.R.T. By the year 2004 the “Book and 10 pence” project had sent 2 million books to schools in South Africa. In 2005 the third million book collection is in progress. The HIV/AIDS epidemic experienced in South Africa is giving rise to a seemingly overwhelming problem. The challenge of supporting and caring for thousands of orphans is unfolding. Among these are a significant number of pupils at Thuto Lesedi Secondary School in the township of Vosloorus near Johannesburg. Four years ago ACTSAWF started responding to the challenge by paying school fees and buying books for the young people attending Thuto Lesedi Secondary School. Initially only two pupils were sponsored. In 2005 the number has risen to fifteen. As the years have gone by a picture of desparate social depravation among orphans is unfolding. During visits to South Africa (Mmapula Tladi-Small, chairperson of ACTSWF) I have observed a harrowing level of poverty among the young people whom ACTSWF supports. Discussions with the head teacher and the pastoral teacher reflect the high, and increasing, number of poor young people at the school. A profile of the school population shows that 30% are orphans, 5% of these head families where there are no adults. Mbuyiselo Baliwe’s life story is an example of how young orphans cope. Since the age of 15, he has been struggling to help his sisters in raising family income. At 19, he was repairing musical instruments for a band, and other electronic instruments. In 2004, he failed grade 11 exams again. When he met with me he told me “Miss, I am leaving school because I feel I am just wasting ACTSAWF’s money. I really can’t cope with school work. I work long hours. I am tired”. He was going to spend more time repairing electronic instruments. I convinced him that this would be a short term solution. In the long term training would be benefit him better. 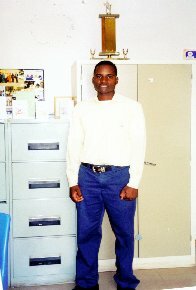 Following a discussion and recommendation of his teachers, he was encouraged to transfer to a technical college. From May 2005, Mbuyiselo started attending and Electronics Practical Workshop at Katorus Campus of Ekurhuleni West College. ACTSAWF used money from the Nozizwe Nwagwe and Jean Craxton Memorial Funt to pay the first year course fee R950 (£80.45). Another example of the need among these young people is that of Thabang Madaele, age 16 years, in grade 10 and an orphan. His eldest sibling is in year 12 at Thuto Lesedi school. They rely on the generosity of neighbours for food. Distant relatives pay rent and buy clothes. He said at times they were embarrassed to beg for food, and went to bed hungry. The lunch provided by the home economics class teacher in her department would be their only meal of the day. This food is funded by teachers from their fairly low salaries. In 2003 a three month pilot programme by the Local Education Authority suggested that the cost of a basic meal was about 50 pence per child per day. ACTFAWF explored sustainability of funding a food scheme, but unfortunately the organisation could not afford the cost, given the number of young people who would have been eligible. The need for food has become more pressing. A hungry child cannot learn. However, after detailed exploration, ACTFAWF concluded that the environment does not allow a choice between raising money to pay school fees and raising money for food. Maximum benefit for young people will come from both. The pupils need food and good quality education. The school depends on fees to fund a stimulating and safe learning environment. The state allocation is RS394,083.33 for 1873 pupils. The head teacher said the level of the grant was based on the location of the school, a lower middle-class area in the historically black township. The allocation system did not recognise the fact that most of the pupils travelled from poor informal settlements, to a desirable school. The result was that 75% of the pupils are exempt from paying school fees. A fall in the level of school fees collected has impact on service delivery. Among the 15 young people ACTSAWF pays school fees for, about 90% could benefit from some social support funding. The organisation is seaching for an appropriate, effective an sustainable approach, to supporting these desparately needy young people. Their desire and commitment to learn is both admirable and encouraging. Sibusiso Hlongwane’s progress is an example of the tenacity of these young people. 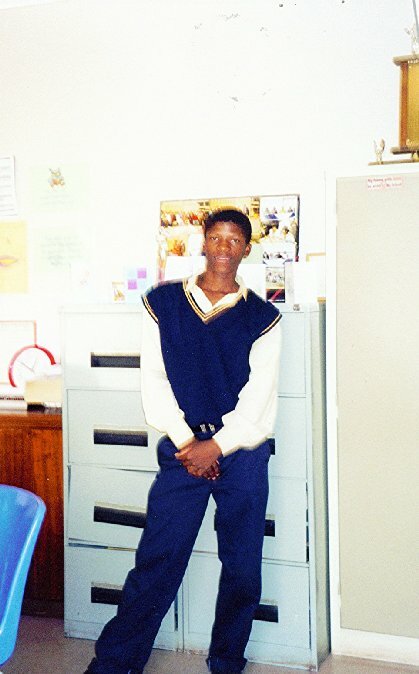 ACTSAWF started paying school fees (£20 pa and £10 for books) when he was in grade 8 at Thuto Lesedi Secondary School. He was an orphan, and had been living alone since the age of 14 years. His electricity supply came from a connection to a neighbouring family’s house in the low cost redevelopment housing zone where he lived. A family friend provided a main meal each day. Another family friend bought his clothes. In 2004, he was studying for his matriculation exams at the age of 22. He could not afford to buy food. The money he was able to generate from working in the evenings was just sufficient to pay for the extra tuition he needed for maths and science. ACTSAWF provided a grant of £70 from the Memorial Social fund previously described. 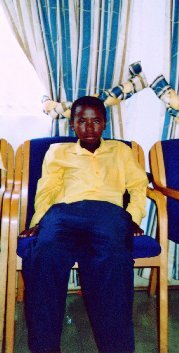 Sibusiso passed the Matric exam at the end of 2004, achieving an A grade in Mathematics. In 2005 he started an Electrical Engineering course at the University of Johannesburg. He appealed to ACTSAWF for money to buy essential books and equipment. He was sent a R1800 (£67.99) course registration fee and for residence. ACTSAWF is appealing for donations to the fund, so that more young people can be helped to buy food and essential books and course equipment. The Memorial Social Fund was set up with the money donated by Noziwe’s and Jean’s families. The former was ACTSAWF’s deputy chairperson, the latter was the treasurer. On request of their families, the money for funeral flower tributes was donated to ACTSAWF. ACTSAWF believes the environment in which young people are educated is very important. Paying the fees of R300 per year helps the school provide a stimulating and safe environment. Sponsoring a young person would give him/her hope, and a chance to “Reap the Fruits of Freedom” for which so many in their age group died in the late 1970s. So far, those sponsored have demonstrated commitment to learning. ACTSAWF believes it can continue to support HIV/AIDS orphans at Thuto Lesedi Secondary School by paying school fees and providing social support grants. In order to do this we need more donations. These can be either sponsorship for a young person or one off donations to the social fund. £35 per year will pay school fees for a child and buy essential books. £2 a week will provide one basic meal a day. Any donation will make a difference and will help ACTSAWF support the orphans at Thuto Lesedi Secondary School in South Africa.